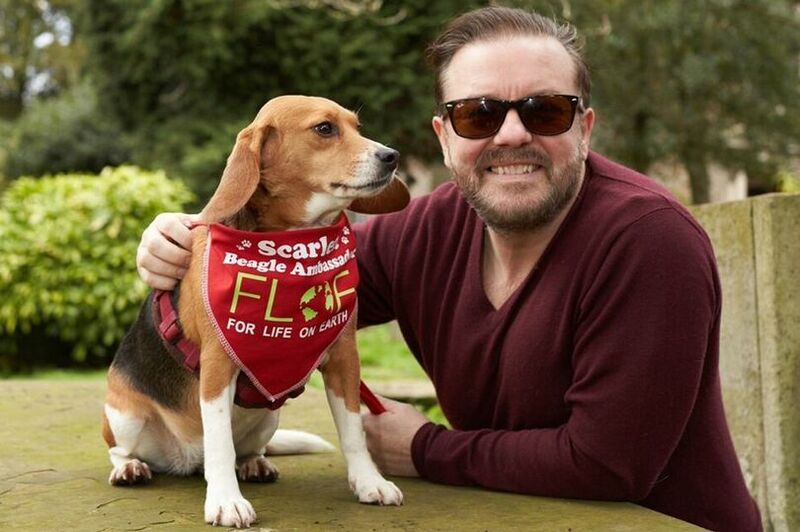 A brave little beagle who endured two terrifying years as a laboratory dog will be honoured at tomorrow night’s star-studded Animal Hero Awards. Scarlett, who helps campaigners against animal experiments, suffers from PTSD after her traumatic months in a European toxicology lab. Despite her past she is now a fine figurehead for anti-animal testing campaigners For Life On Earth, helping its backers TV stars Ricky Gervais and Peter Egan. And on Thursday night she is named Inspirational Animal of the Year at the Mirror’s Animal Hero Awards. The ceremony, at London’s Grosvenor House, celebrates examples of bravery, dedication and resilience in s.